NZ Health Store | Quality Supplements, Vitamins and Natural Skincare. NZ Health Store provides only the very best nutritional supplements, natural skincare and healthy lifestyle products at the lowest possible prices. Our professional nutritional therapist selects only the highest quality products from ethical companies. Giving you peace of mind that you'll never waste money on our site. Please feel free to browse the wide selection of topics in our Articles Section. We hope you'll find them helpful and informative on your journey to optimum health. Bach Rescue Remedy for pets now available. We have a small stock but do not know if we will be able to get more. 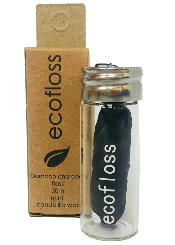 An effective environmentally friendly floss. Refillable and recyclable. Want to reduce your plastic foot print? Take action to replace it. These lovely eco-friendly reusable food wraps. Made from cotton infused with a beeswax solution. Native Neem Organic Neem Oil Insecticide is one of the highest grade certified organic oils available today. A nail range whose products are cruelty free, palm oil free and vegan. Buy any 2 colours and quote FREEbase or FREEtop coat to receive a free top or base coat. Great for our health, great for the earth, great as a gift. The fourth edition of master herbalist Malcolm Harker’s guide to treating common health concerns naturally. The only gripe water that is a safe FDA listed medicine for infant colic, gas and reflux. Pediatrician recommended, guaranteed and 100% natural. 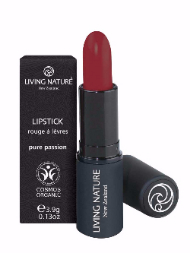 Buy any lipstick and receive a FREE lip hydrator.